A few days ago we talked about Google’s VR project, called Cardboard. Of course, it was more like a joke played by the organizers, who gave a kit to every attendant to the keynote at Google I/O 2014. 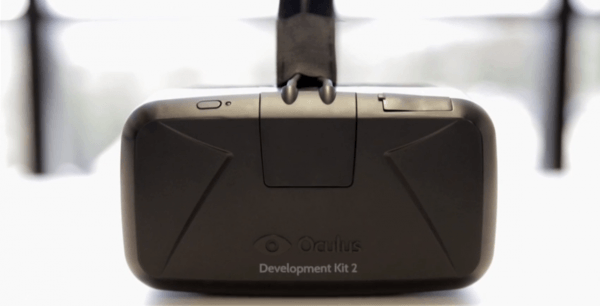 Today, we’re talking again about virtual reality, but this time, things are getting way more serious; Oculus Rift Development Kit 2. Back in 2012, a company called Oculus was presenting a revolutionary project called Rift, initially started on Kickstarter. Since then, they continued improving it and, at CES 2014 they showed a final version, which was supposed to start being delivered soon. And that time is now. The new Oculus Rift is now ready to ship the first batch of Oculus Rift Developer Kit 2 headsets, which will arrive at those who preordered it before the end of June. And we’re talking about a serious amount of headsets, around 10,000, meaning that this project has all the chances of being a giant success. Apparently, this was supposed to happen earlier, but after Facebook bought the company, the outgoing orders were cut off, for unknown reasons. Why, Mr. Zuckerberg, why? Ok, so what will these guys actually get? Anyway, the lucky recipients will receive an updated headset, compared to the Crystal Cove prototype, shown at CES 2014, which utilizes a low persistence OLED display. Wait, what? It means that each eye will see a 1080 x 960 image, while combining them will result in a 100-degree field of view. Sounds cool, but we can’t tell how cool until we get our hands on one. Ok, so how much for this VR wonder? Well, if you haven’t preordered one, you can get it directly from Oculus’ website, at $350, which is pretty accessible. What do you guys think, it is worth the money?